The World Federation of Engineering Organisations will celebrate its 50th anniversary during 2018 – an important milestone for the history and development of the engineering profession. The last 50 years has been a time of unprecedented global advancements in engineering – man has landed on the moon, we have seen the personal computer and the smartphone developed and great advancements in information technology and communication. 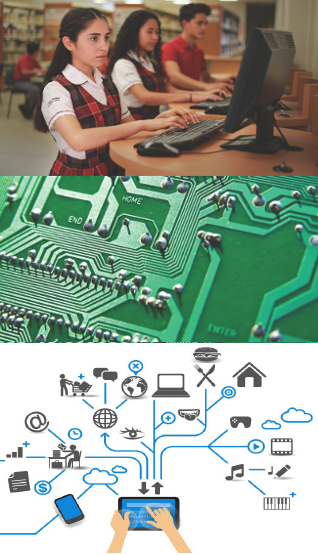 New engineering disciplines have emerged including bio-medical engineering and we are seeing significant advances in data analytics, robotics and artificial intelligence. Since being founded in 1968, the Federation has led the international engineering profession with contributions to global policies on the standards of engineering education, innovation, sustainability, capacity building and ethical engineering practice. 2018 will be an opportunity to celebrate the achievements of the Federation. 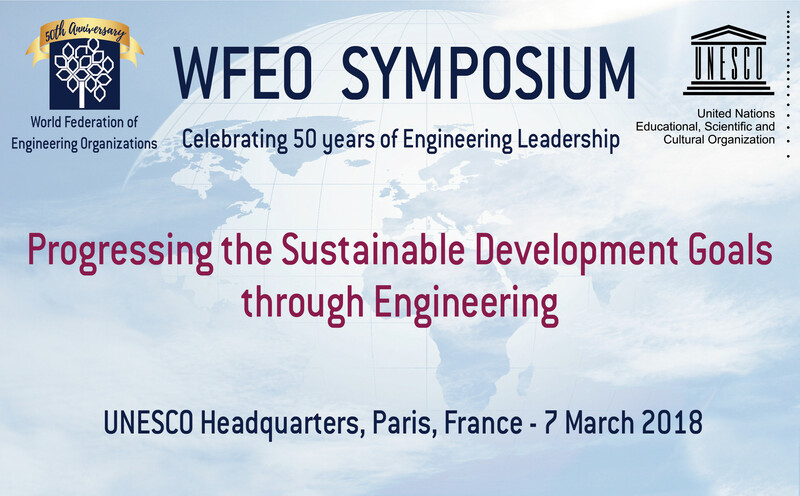 The event took place in the UNESCO Headquarters in Paris and consisted of a half day Symposium, 7th March 2018, with key topics that focused on how WFEO is progressing the achievement of the UN Sustainable Development Goals through engineering. Prominent UNESCO officials were invited to attend. The Symposium was jointly hosted with UNESCO and was attended by many of our stakeholders including UNESCO delegations, UNESCO staff and representatives of NGOs involved in science and engineering. The Symposium had the primary objective of sharing some of the projects which will form part of the WFEO Engineering 2030 Plan. WFEO is committed to progressing the sustainable development goals through engineering and is taking the lead in bringing together various organisations and groups so that we can work together in partnership. 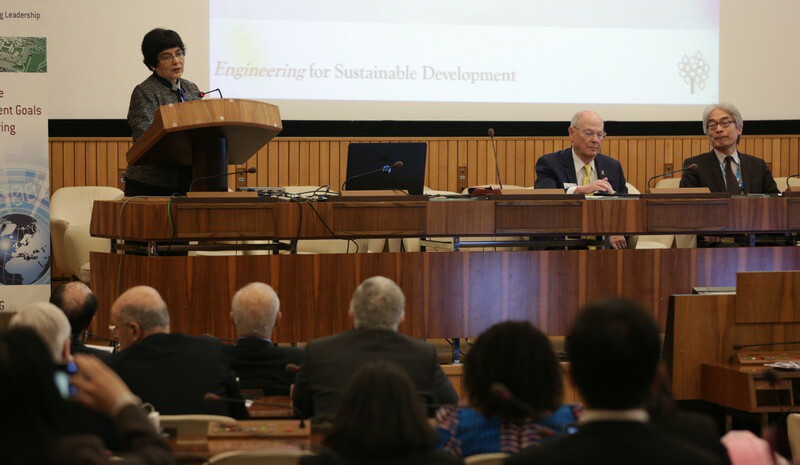 This event was marked by a joint declaration by UNESCO and WFEO on our commitments to progress the United Nations Sustainable Development Goals through engineering. This Declaration establishes the role that WFEO will play with UNESCO in leading engineering projects which meet this objective. 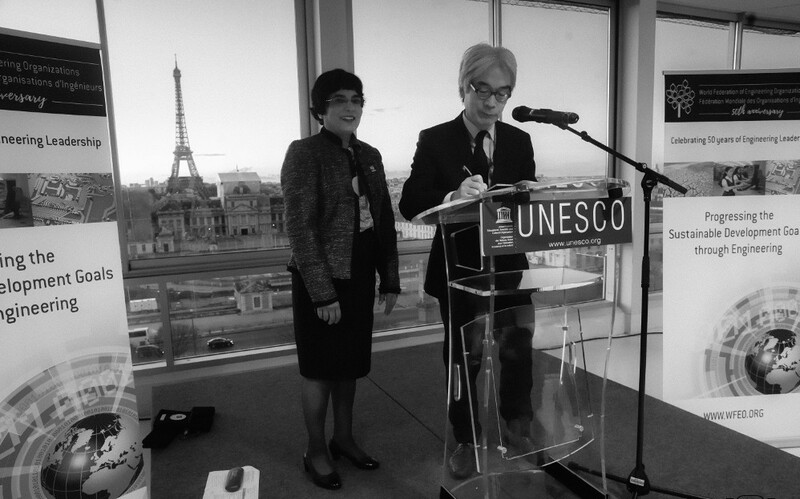 Our thanks to Mr. Douglas Nakashima, Director of UNESCO’s Division of Science Policy and Capacity Building, for representing Ms. Flavia Shlegel, Assistant Director-General of Natural Science at our Symposium and signing this Declaration. WFEO signed agreements to co-operate with five international organisations involved in industry, engineering education, women in engineering and science and UNESCO Category 2 Centres that are involved in capacity building and in engineering education. These partnerships will enable WFEO to work more effectively on specific projects that will progress the UN SDGs. We also acknowledge the support of our event sponsors: Sungrow Power Corporation and China Electric Power Technology Net, Beijing Zhongdian-Keneng Exhibition Service Co. Ltd and Prof. Haoyong Chen, Chair of Global Chinese Power & Energy Society (GCPES). Their support was invaluable to ensure a successful event. The video entitled “Engineering: Building a Better and Sustainable Future” was produced with the assistance of the national member from China, China Association for Science and technology (CAST) and was shown in avant-premiere at the event on 7th March 2018. The Dr. Zuheir Alami WFEO Award for Engineering Innovation, supported by Khatib & Alami, recognises the importance of engineering innovation at an international level. Innovative companies from around the world applied for this award. The award will be presented at the Global Engineering Congress 2018 in London. The GREE WFEO Women in Engineering Award, supported by GREE Electric Appliances Co., recognises the contributions of women to engineering at an international level. Outstanding women engineers from around the world nominated for this award. The Young Engineers Competition recognises the important contribution of our young engineering leaders around the world to sustainable development. The best submissions will be published in a booklet which will be available at the Global Engineering Congress 2018 in London. The high point of the event which was held on March 9, 2018, at UNESCO Headquarters in Paris was the commemoration of the 10th year anniversary of the Committee and the presentation of awards to WFEO past Presidents who contributed immensely to the creation and sustainability of the Committee and the Committee’s past Chairs and Secretary. 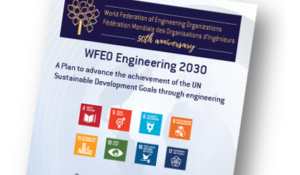 The Plan activates the WFEO Strategic Objectives that were agreed by the WFEO General Assembly in December 2015 and demonstrates the commitment by WFEO, its members and partners, to advance the UN Sustainable Development Goals through engineering. This document provides an overview of the projects that are being undertaken by WFEO Standing Technical Committees, national and international members, associates and partners. Further progress reports will be provided annually. 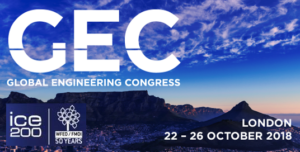 The Global Engineering Congress (GEC2018) and extended WFEO Executive Council meeting will be held in London from 20-26 October 2018. This important event is hosted by the Institution of Civil Engineers UK (ICE). The ICE is celebrating its 200th anniversary in 2018. The theme of the conference will be focussed on advancing a number of the UN Sustainable Development Goals including water poverty, energy shortages, growing urbanisation and the effects of climate change. Engineering is an essential part of modern life and underpins our health and wellbeing, out social systems and cities and our economies. 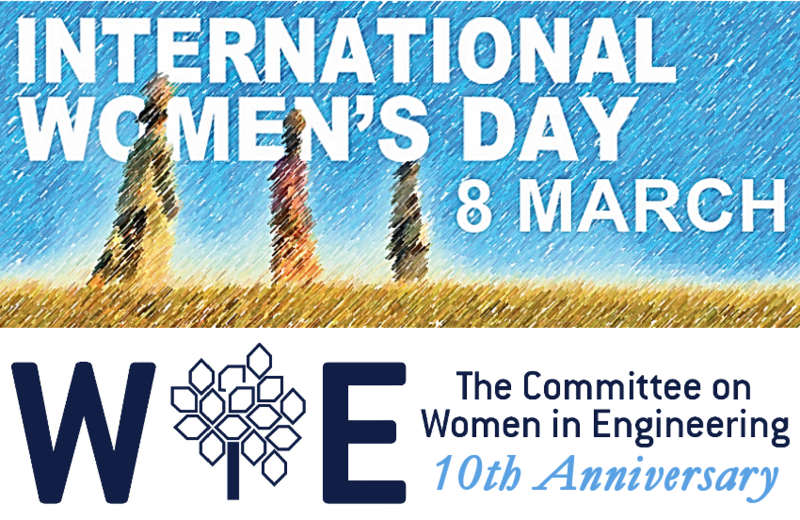 We will commence a process for recognising the important contributions of engineering with the United Nations for recognition of the WFEO Founding Day, 4th March of each year as World Engineering Day for Sustainable Development. The purpose of a World Engineering Day for Sustainable Development will be to provide an annual focal point for the continued appreciation of the importance of engineering to modern life and the central role of engineering in developing the technologies needed for climate change action as well as for sustainable development that will impact the lives of every citizen on earth – enabling social, cultural and economic activities in every field of human endeavour, including culture and art, education, sustainable development, and in diverse fields such as scientific research, medicine, information technology and communications and energy. A World Engineering Day for Sustainable Development will be an opportunity to demonstrate the role of engineers and engineering, to develop solutions to climate change, 9. A World Engineering Day for Sustainable Development will raise the profile of engineering and technology, and its role in improving the quality of life worldwide, and advancing the UN Sustainable Development Goals.